Denholm started at my FootDr camp Hill in December of 2014 after graduating from Queensland University of Technology in November of 2014. Denholm has always wanted to make an impact in people’s lives through a health care profession and believes in a holistic approach starting from the ground up. 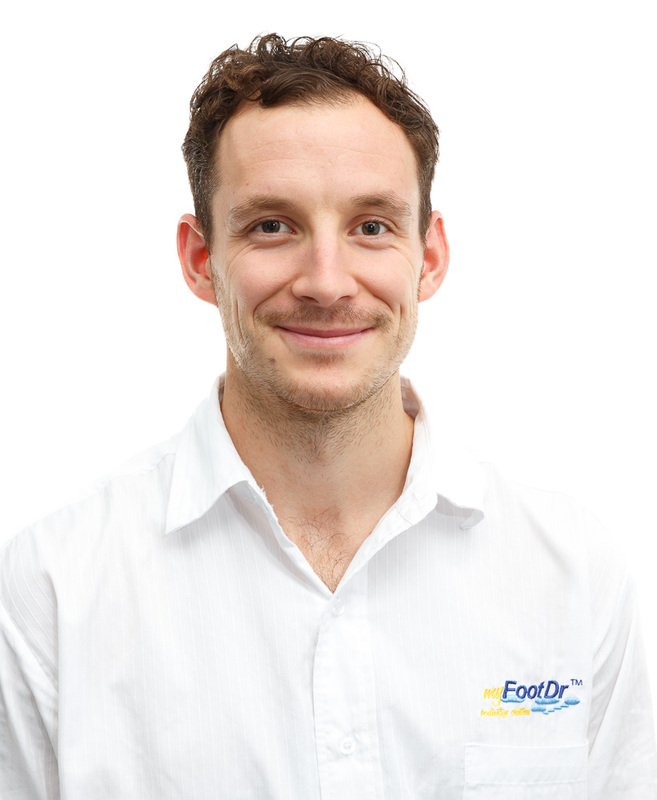 He now leads our Redcliffe and North Lakes podiatry clinics. Denholm has an interest in all aspects of Podiatry ranging from chronic diseases to paediatric conditions. Denholm had an extensive basketball career back in Canada where he was offered a full scholarship to play for a local University in Vancouver, BC. This experience allowed him to compete against top tier Division 1 schools in the United States and has given Denholm a particular interest in Sports Medicine. He is a current member of Sport Medicine Australia is an avid participant of their seminars allowing him to keep his extensive knowledge of acute and chronic sporting injuries current. Outside of work Denholm has recently started training for Triathlons and can be seen around East Brisbane trying to keep up with his Triathlon friends. Denholm also plays GBL basketball at BBI in Auchenflower.